Protege"-(Ben Hager-1969)-Spuria Iris-36 Inches Tall-Late Bloom Season-Standards medium blue. Falls white with blue veins. 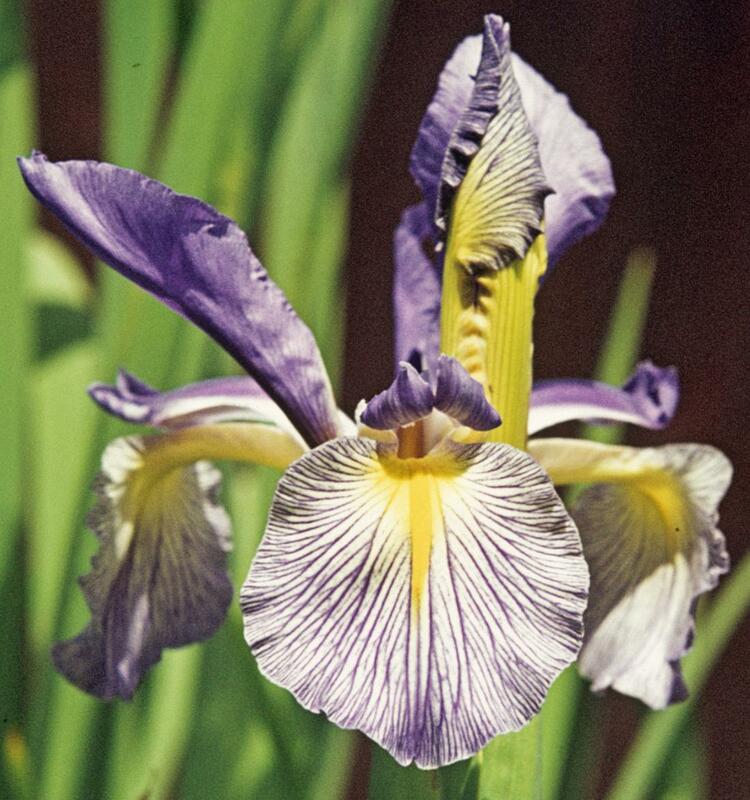 Older, but still a good garden iris. HC HM AM London , England.